For some people, the only way to go for water heating is tankless water heaters in Austin. As with any other aspect of your home, it has a lot to do with personal preference. Yet there are some unique features and traits that only tankless systems can offer. However, what you have to know first and foremost is what plumber to call on for your installation, repairs and replacement. Since 1986, the name locals have entrusted to take care of this type of work has been Moore & More Plumbing. We offer the best in residential and commercial plumbing service work. When we arrive at your home, you can rest assured that we are ready to go. That means we arrive with a fully stocked truck and can get right to the task at hand. Not to mention, our Austin plumbers also have the training, skills and experience needed to get the job done. 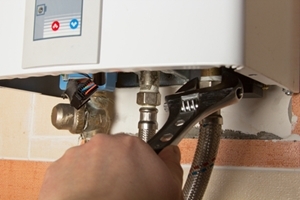 The most obvious reason tankless systems are so popular is the immediate access to hot water. This is also why they are commonly called on demand water heaters. No more turning on the water and taking care of other chores while you wait for your shower water to get warmer. Instant hot water is practically life changing. This is a more energy efficient system to install even if the upfront cost is a bit more than other systems. This means that you will be able to save on your monthly energy bills, which offsets the higher upfront investment. Not to mention, this will also make your home more Eco-friendly. No more big and bulky water tank taking up prime real estate in your basement. This is perfect for some people with smaller homes who don't have the space to give up for a tank. With tiny house living being all the rage right now, it means making good use of every square foot you have. Of course it also doesn't hurt that this also means no tank to leak or flood out your basement when something goes wrong. There is simply no reason for you to settle for less than the best, when it comes to your plumbing service needs. 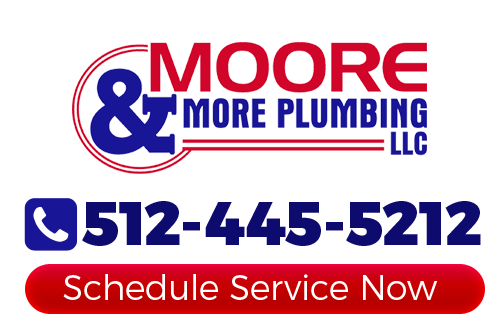 Let Moore & More Plumbing offer you the finest in water heaters in Austin, tankless or not. Give us a call today and let our experts discuss with you the choices that you have. You can finally get the expert service that you want, need and should be able to expect. If you would like an estimate for tankless water heaters in Austin, please call 512-445-5212 or complete our online request form.